Brand Guidelines, why do you need them? Your brand is arguably your most important asset. More than just a logo, your brand identity is your business personality and will be key in delivering your brand consistently across all channels, on and offline. 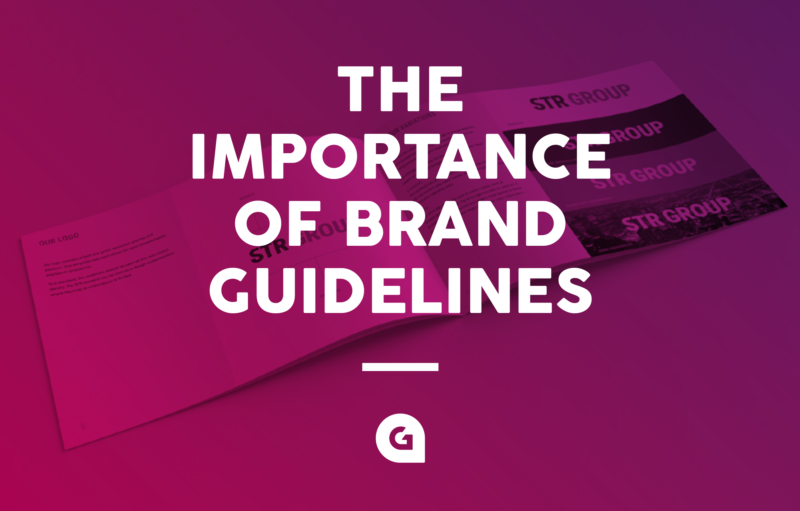 You’ve spent money and worked hard to create your company brand and logo and this is why brand guidelines are vital to keep your company materials looking consistent and professional at all times. They protect your brand value by supplying comprehensive instructions for all employees, stakeholders and external marketing forums. What are brand guidelines you ask? Brand guidelines are documents with a series of rules, set out to demonstrate how a company brand must be perceived. Commonly utilised by designers, guidelines are also used by anyone who interacts with the brand, internally and externally to your organisation. It is important they are followed in order to create consistent marketing materials, internal communications and documents, as well as ensuring the logo and company are portrayed professionally, and accurately, at all times. Ensure brand consistency – Effective brands are consistent and recognisable to the client/audience. Materials should be cohesive. Set standards and guides – Set rules help to keep styling simple. They are not there to limit creativity, but to ensure everything appears as they should. Helps to eliminate confusion – Often the use of brands can be vague. Brand guidelines help to eliminate any queries to allow for speed and a cohesive design. Provide inspiration – Sometimes an open brief can overwhelm and intimidate, especially to those new to the brand. Guidelines help to set a starting point which can be pushed accordingly while ensuring the design fits. From an external point of view (and internal, depending on the size of your company) and in the fast-paced social and online environment, your brand can be the only interaction a person has with your company. So it needs to be right. This is particularly important to ensure a consistent colour palette for your brand is used on all materials. Often colour shades can vary over time, but the guidelines ensure the correct colour values are used at all times. This will usually show the CMYK values (for print), the RGB values (for digital) and the HTML Hex Reference (for web). Typography will outline the different fonts used in association with your brand, including different weights and styling. Introduction – This can outline the business values and elevator speech, as well as outlining the brand personality. Tone of voice – The tone of voice to use in marketing materials and even internal and external communications. Stationery– Letterheads, comp slips, business cards and maybe even PowerPoint templates, to ensure they always remain the same. Image styling– The content and quality to use, as well as any visual styling/manipulation to any images. Graphic elements– Elements used separately from the logo which evoke a sense of brand personality and consistency. This can be anything, such as vector graphics, icons, shapes, patterns or just general document styling. Signage, livery and clothing– How the brand should be represented on external materials. Document Styling– This can be extremely detailed, specifying styling to the millimetre or a generic, general vibe. Digital Styling– Anything from email signatures and advertising banners to full blown websites and social media presentation and campaigns. At Glow, not only do we like using brand guidelines, but we love creating them too. They are an excellent way to introduce your brand to staff and suppliers as well as creating a cohesive and consistent styling for your company. Ultimately, good brand guidelines help create a strong and powerful brand personality which, in turn, creates brand value. Use authoritative language such as ‘always’, ‘never’, and ‘must’. Keep content simple and to the point. Brand guidelines should adhere to the rules too! Make the design easy to use and nice to look at.